Forts: What Will You Build? 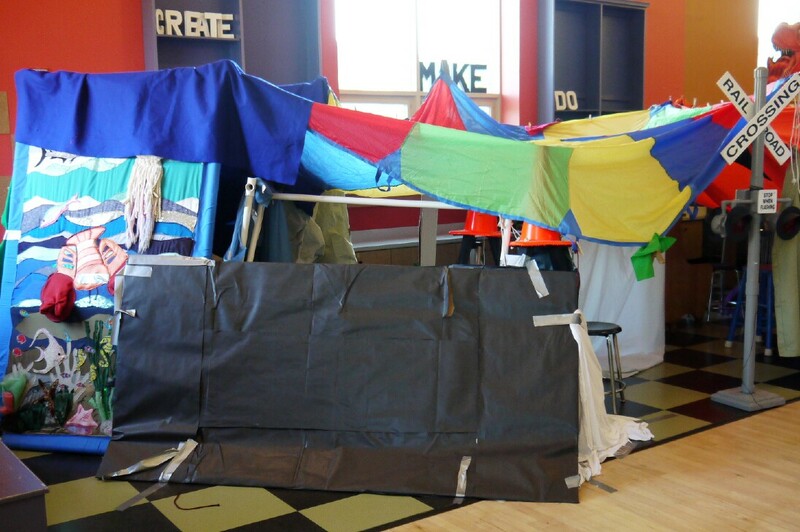 This summer, we’ve transformed the studio into the ultimate fort-making playground. Kids can use their imagination to create anything: castles, tree-houses, under-the-sea caves, and more. Such an open-ended experience encourages children to explore. “Forts are universal. There’s something that can inspire children of all ages. They can be anything that they want to be,” said Jane Bard, our Education Director. “It felt funny trying to explain to friends and family that I spent my first day of work building forts. 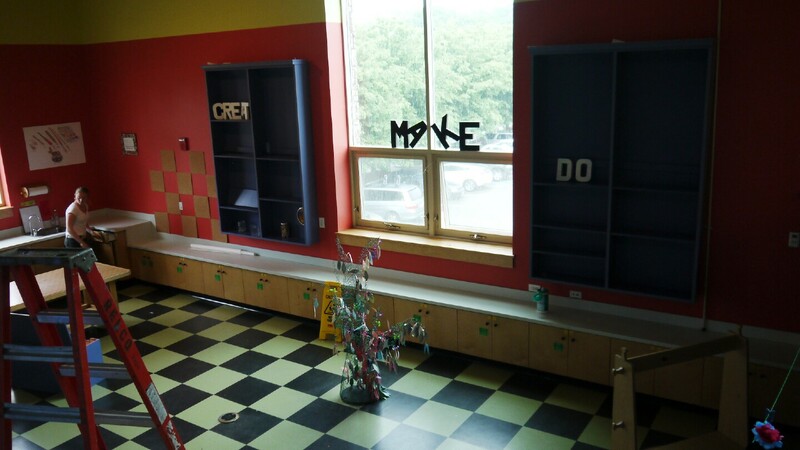 But it was so much more than that: we had to problem solve and use our imaginations to set up a space for young children to make their own…I felt like a big kid that afternoon. It made me want to make a fort when I got home,” laughs Alex Morrow, one of our Education Department interns for the summer. 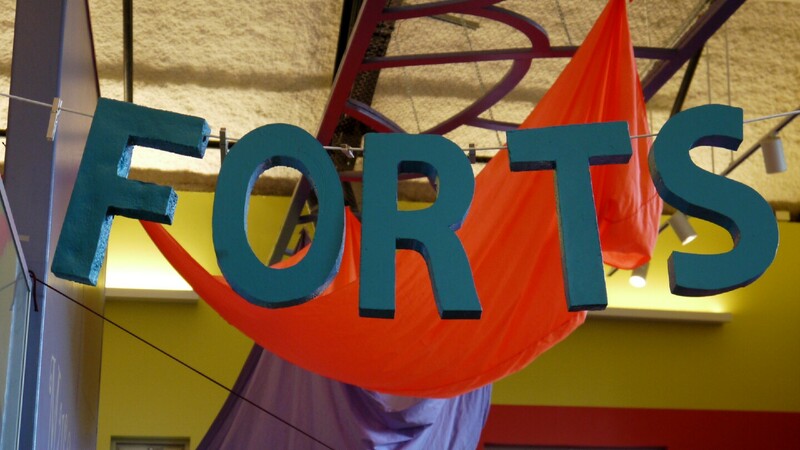 The forts exhibit uses fairly common items, such as tables, chairs, and pieces of fabric, but also more exotic finds, such as a loom, a felt tree, and a parachute. If you look carefully, you’ll find stuffed animals and other toys sprinkled throughout the forts for kids to create their own adventures. The fort changes every hour as more visitors change and move things around. 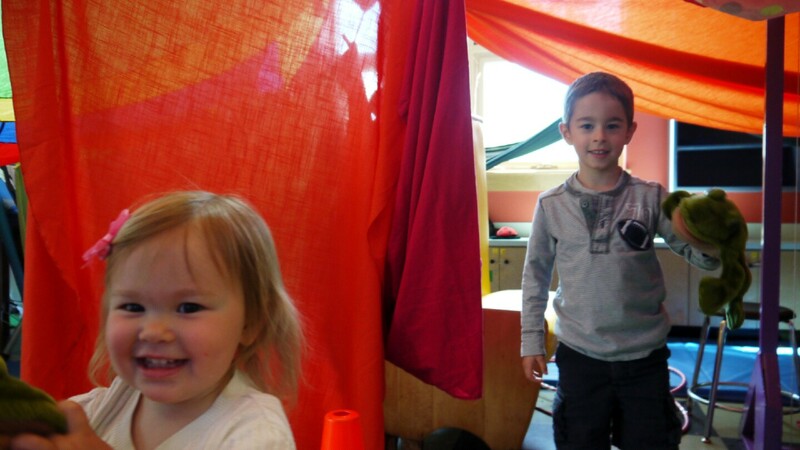 Look around your house—what fun materials for forts can you find? Check out this article for some more tips and tricks!